Over the last two years, the criminal community has shifted its focus away from exploit kits as a mean of payload delivery and began focusing on exploiting IoT devices for the purpose of botnet development. Botnets are all the rage and have become more advanced than the days of Sub7 and Pretty Pack. They possess the capability to target multiple devices on different architectures and infect them with a diverse range of payloads. 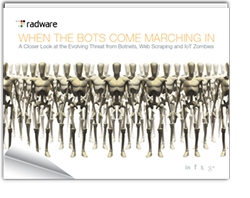 But why are exploit kits falling out of favor and where is the evolution of botnets going? Exploit kits in general are prepackaged toolkits that focus on compromising a device with a specific set of exploits. Typically, a victim is directed in a number of different ways to an attack page where the exploit kit will target an application in a browser such as Adobe Flash, Java or Silverlight. Once the victim is compromised by the exploit kit, it will drop and run a malicious payload on the targeted machine. What that payload is depends on the criminal or the person leasing the exploit kit for the day, but today they are mainly used to distribute ransomware or crypto mining payloads. Exploit kits, a once popular avenue for an attack are now barely used due to the popularity of other attack vectors. Another major reason for the decrease in exploit kits activity is a result of authors abandoning their projects. But why did they abandon their project? Many experts would agree that this was the result of updated browser security and limited availability of undisclosed exploits needed to update their kits. Unlike IoT devices, Adobe and Java exploits tend to be patched as soon as they become aware of the problem. This is a major challenge for criminals and one that involves a lot of effort and research on the criminals’ behalf. So the attacker is left with a choice. Invest time and research into an undiscovered exploit, or target devices that are rarely maintained patched or updated. Today modern botnets are mainly comprised of infected IoT devices such as cameras, routers, DVRs, wearables and other embedded technologies. The evolution in the botnet landscape highlights the security risks from millions of Internet-connected devices configured with default credentials or manufactures who won’t issue updates. Hackers can build enormous botnets consisting of a wide variety of devices and architectures because of this. In comparison to web browser exploits, IoT devices come with poor security features such as open ports and default credentials. They are also poorly maintained and hardly receive updates. The process of capturing devices for a botnet is a fairly simple task that’s mainly automated. Hackers typically compromise these devices via brute force login. They have also recently evolved to inject exploit via open ports to compromise devices. They leverage these exploits typically after a researcher discloses a vulnerability. Overall it is an automated process in which a bot is scanning the internet to identify potential targets and sending that information back to a reporting process. If a match is found, the device is exploited with an injection exploit and a malicious payload is downloaded to the device. The payloads downloaded today can vary, but it mainly gives the bot-herder the ability to remotely control the infected device just like a traditional PC botnet. IoT botnets continue to evolve and they are becoming more versatile. It wasn’t long ago when Mirai reached the 1tbps mark but the process of how it was done has improved, leading many of us in the industry to worry about the next super attack. Mirai was simply a botnet comprised of infected IoT devices who left telnet open and utilized 61 default credentials found on popular devices. Because the port was left open to the world and users didn’t change their password, the attacker was able to capture a large number of exposed devices. Before Mirai’s success, there was Gafgyt and Aidra. Both of these are IoT botnets as well. They spread by infecting vulnerable routers with default credentials. These botnets were successful. In fact, Gafgyt still continues to move in lockstep with Mirai. However, after the publication of the Mirai source code, the field became over saturated and bot-herders started incorporating patches to prevent other malware and herders from infecting their captured device. This change forced herders to look for a new way of capturing devices. Shortly after, new Mirai variants started appearing. This time, instead of using default credentials they started incorporating exploits to target vulnerable devices. Attacker Best Buy used a modified variant that leveraged the TR-069 RCE exploit in an attempted to infect hundreds of thousands of Deutsche Telekom routers. Following Best Buy, IoT reaper appeared with borrowed code from Mirai, but this time included the addition of a LUA execution environment so more complex exploits could be leveraged to enslave devices. As a result, IoT reaper came loaded with nine exploits. Hajime was not as elaborate as IoT reapers but it did combine the default credentials found in the original Mirai sample and the TR-069 Exploit leveraged by Best Buy. The Omni Botnet, another variant of Mirai was found to contain two new exploits targeting Dasan GPON routers. And just recently a Mirai sample was discovered and found to contain 16 exploits, including the Apache Strut vulnerability used against Equifax while the newest variant of Gafgyt was found to contain an exploit targeting SonicWalls Global Management System. These two recent discoveries highlight a major change in their targeting strategy. This indicated a shift from targeting consumer devices to unprotected and rarely updated enterprise devices putting more pressure on the industry to ensure devices are updated in a timely manner. Today we see Botnet development filling the void of Exploit kits as they incorporate more attack vectors and exploits into their deployments. Keep in mind that it’s not just about the multiple exploits. It also has to do with the speed in which exploitation occurs in the wild. One of the main reasons we are seeing exploit kits fall out of favor is due to the improved browser security and speed in which the industry patches vulnerabilities targeting Flash, Java and Silverlight. This is not seen in the IoT botnet world where vulnerabilities are rarely patched. At the end of the day, cybercriminals are following the money by taking the path of least resistance. Exploit kits over the last several years have been deemed high maintenance and hard to maintain due to improved security practices and a diminishing availability of private exploits. We are also seeing cybercriminals looking to maximize their new efforts and infection rate by targeting insecure or unmaintained IoT devices with a wide variety of payloads ranging from crypto mining and ransomware to denial of service and fraud. In the recent months, we have also seen a handful of botnets targeting enterprise devices which indicated an intention to move from targeting consumer devices to target enterprise devices that are poorly maintained and rarely updated. Learn more our growing collection of endpoint security software reviews. Awesome blog! Is your theme custom made orr did you download it frm somewhere? Next PostAre Your Applications Secure?